If you've been around the internet for any length of time, you may remember Web 1.0. This was the beginning of the phenomenon known as the World Wide Web that brought us file and web servers, and websites built using static pages connected by hyperlinks. As Web 1.0 evolved, we added animated GIFs and had tools available to us like Microsoft FrontPage and Macromedia Dreamweaver to help us develop our sites more easily. 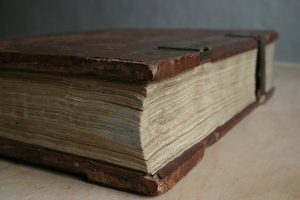 Web 1.0 was basically a "read-only" web, even though brick and mortar merchants scrambled to develop an online presence and the earliest forms of eCommerce solutions were introduced. Other technologies associated with Web 1.0 include search engines (AltaVista, Yahoo! ), e-mail (Yahoo!, Hotmail), peer-to-peer file sharing (Napster, BitTorrent), and publish and subscribe technologies. Speaking of blogs, by 2003, b2/cafelog, more commonly known as b2 or cafelog, had been installed on approximately 2000 blogs. That same year, Matt Mullenweg and Mike Little, in a joint effort, created a fork of b2. That fork is known today as WordPress. According to W3Techs, as of this writing, WordPress is used by 60.1% of all the websites whose content management system is known. This is 29.7% of all websites. With statistics like these, it's clear that WordPress has achieved the #1 position in Web 2.0 interactive content management technologies. No other Web 2.0 content management platform even comes close. Web 3.0 is a term that's been tossed around for a few years already, so let's play a bit of catch. Early ideas on Web 3.0 suggest that its evolution will become a “read-write-execute” web. It is the Semantic Web, an extension of the World Wide Web through standards defined by the World Wide Web Consortium. The standards promote common data formats and exchange protocols on the Web, most fundamentally the Resource Description Framework, which promises to advance the web to where all information is categorized and stored in such a way that a computer can understand it as well as a human. Two key terms most commonly associated with Web 3.0 are semantic markup and web services. Semantic mark up helps in describing an item apart from defining its appearance. A web service is a software system designed to support computer-to-computer interaction over the Internet. Neither of these concepts are new. Schema.org defines semantic markup for search engines and there are thousands of web services available that allow external systems to access their APIs. Modern eCommerce solutions often access web services provided by freight carriers to lookup shipping rates in real time. UPS, Fedex, and USPS are just a few examples. Other terms associated with Web 3.0 include semantic searching, knowledge bases, ontologies, and personal intelligent digital assistant. But truth be told, predicting how Web 3.0 will eventually evolve is like playing the lottery. It's a complete guessing game because there is no clear definition of what it means. If we distill what we know about the historical evolution of Web 1.0 and Web 2.0, we can extrapolate that Web 3.0 is the next fundamental change both in how websites are created and more importantly, how people interact with them. We are already seeing an explosion of smart devices and home appliances that comprise an "Internet of Things". 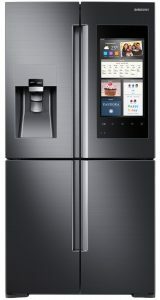 Who could have ever thought a refrigerator could tell you what you need for your shopping list, or order groceries for you, or even let you know when your milk is running low? Only Siri and Alexa could have predicted that! WordPress, Gutenberg, and Web 3.0? This is all changing soon and many of the products we have today, may face extinction tomorrow. This is especially true of the page builders and themes that embed shortcodes into content to produce a site's desired look and feel. Popular themes and plugins like Divi, X-Theme, and Visual Composer will have to adapt to the emerging paradigm or they may discover that they've become products without a home. The developers and designers that depend on them for their livelihoods may have to scramble to learn the newest technologies, if it's not too late, that is. When WordPress 5.0 is released later this year, it will change the world of content management as we know it. Gutenberg, under development for the past couple of years, will initially replace TinyMCE as the WordPress editor, but this is only the start. If you listen to any of Matt Mullenweg's talks or those of others intimately involved with Gutenberg's development, it is not just an editor replacement. As WordPress continues its evolutionary progression, Gutenberg will become the core for all content created in WordPress. Think about how the WordPress customizer will work with a Gutenberg foundation. Gutenberg is not just one small step on the Web 3.0 evolutionary ladder, it is a giant leap! Only time will tell if it's capable of taking home the gold. Gutenberg has come a log way since its first release as a plugin in 2017. It's been installed on my development server since it's first release. Even though it's not a finished product, it's worth taking a look at it and to start learning what content blocks are all about. Everything in future WordPress will be about content blocks. While there is support for shortcodes, I suspect that most shortcodes will end up in a heap at some archeological dig. The best thing about content blocks is that you can make them reusable and available in other content. Change one instance of a block that has been used multiple times, and all the instances of that block reflect the change. Content blocks are not a new concept. It you use Facebook, you are using content blocks. Everything you post is an independent content block. You already know how they are used. I didn't like Gutenberg at first. In fact, I hated it. But as it nears completion and the bugs are getting squashed, it is becoming a beautiful framework for content development. I like it a lot now and am looking forward to developing my own set of tools that will make life easier for our development work. Change is hard to take, and a giant change is often met with resistance. Gutenberg is coming and there's nothing we can do except offer our acceptance. Let's learn the new paradigm and do whatever we can to profit from it.